LMS scientists use cells and cell lines cultured in the laboratory, or computer based approaches to learn about health and disease. They also use invertebrate models, such as fruit flies and worms. LMS scientists use mice and rats where there is a need to learn about the genetics and physiology of whole animals, to improve our understanding of basic biology and how this relates to human disease. The eventual aim is to identify new therapies and cures for conditions including cancer, sepsis and diabetes and to learn more about diet, metabolism and ageing. Sepsis, for example, is a national priority in the UK, with tens of thousands of lives lost to the condition each year. It is caused by infection. Antibiotics can treat the infection, but the body’s response can cause dangerously low blood pressure, organ failure and death. LMS scientists are studying a drug that might help. 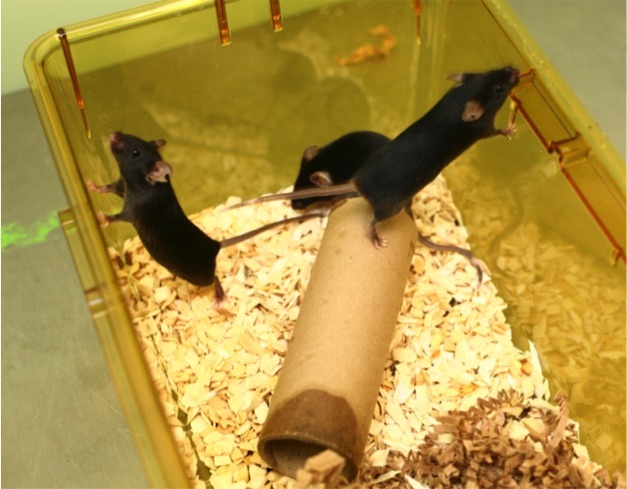 Laboratory animal research enabled its discovery, and showed it improved survival from 0% to 15% and reduced organ failure. This work is moving towards human trials. Cancer is another target. Glioblastoma, for example, is the most common form of brain cancer, and the most deadly. It affects people from around 40 years of age, and most live for less than 2 years after aggressive therapy. New treatments are urgently needed, and LMS scientists are working on a ‘two-in-one’ approach that halts the division of the cancer cells, and stops them from spreading. Scientists at LMS carry out extensive research directly on people, for example to understand cardiovascular diseases and changes in the brain that relate to mental health conditions such as psychosis and schizophrenia.